First Baptist Church is saddened by the homegoing of our member, Sis. Julia Elizabeth Monie Griffin. 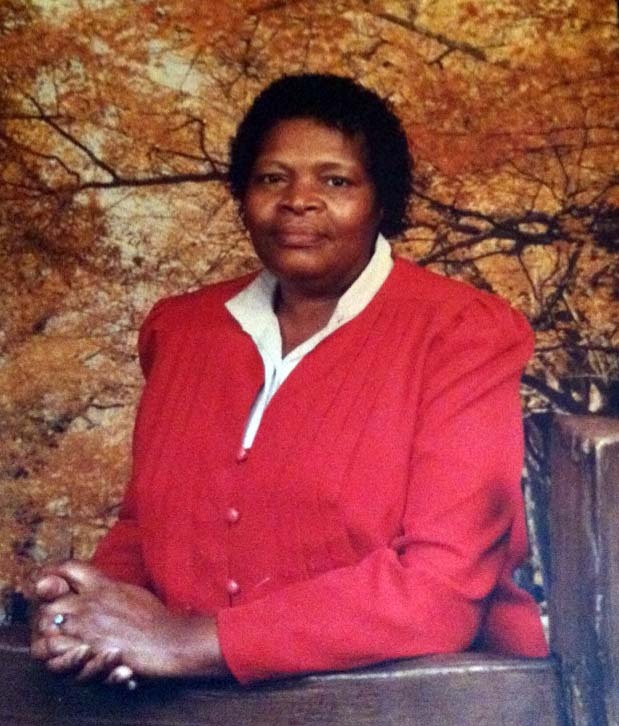 Her homegoing services will be held on Friday, November 2, 2012. Visitation is from 10 a.m. to 11:45 a.m. Homegoing Service begins at 12:00 Noon. Pastor Robert Earl Houston will be officiating. Julia Elizabeth Monie Griffin, was born to the union of Will Berry and Emma Monie. She entered this life on February 28, 1933 and went to be with her Lord and Savior Jesus Christ on October 30, 2012 surrounded by her loving family. Julia professed her faith in Christ at an early age and joined First Baptist Church, under the pastorate of Rev. R.E.S. Utterbach. She sang in the Women’s Choir and Young Adult Choir. She was instrumental in the remodeling of the restrooms in the Fellowship Hall and remained a member until her death. She was educated at Rosenwald School and graduated from Mayo-Underwood High School. Julia was gifted with a beautiful voice and sang throughout her younger years in her high school Glee Club and at First Baptist Church. Julia was also a member of the gospel group “The Harmonettes,” which performed in churches throughout Kentucky during the 1950’s. In later year, her favorite past time was talking on the phone into the late hours with her cousin, Mabel Conda. Julia retired from Kentucky state government after 20 plus years. She also worked at the Stewart Home for over 12 years. She was a life member of the VFW Ladies Auxiliary Post 9235, which she faithfully supported. She was a member of the Franklin Co. Senior Citizens. She leaves to cherish her memory four devoted children who were the delight of her life, James (Barbara) Monie, Albert (Roxanne) Davis, Robert Griffin and Varita Griffin; brother James (Patricia) Monie; Sister, Emma Tillman; Seven grandchildren; Seven great-grandchildren; and a host of nieces, nephews, cousins and friends.